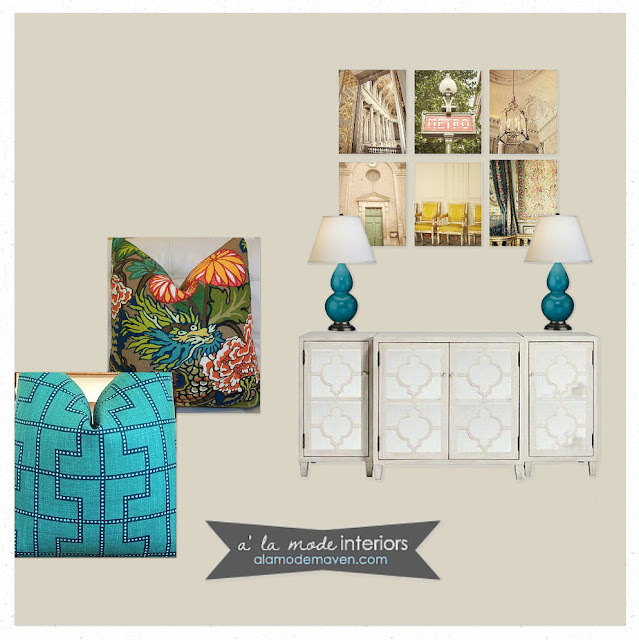 I am in the midst of finishing up my living room redo (just need pillows) and getting up our holiday decor! 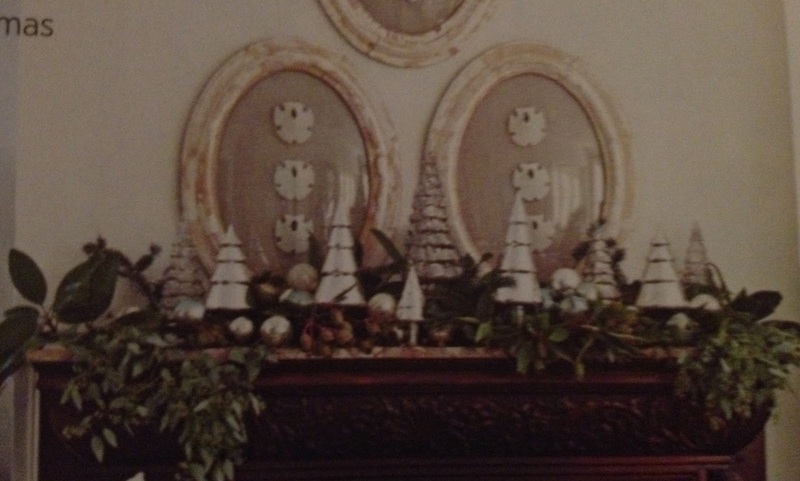 I am using this pic for my mantle inspiration....love the mercury glass trees! It was in this month's Traditional Home Magazine. Pretty, right? for the living room redo.. I'd still like to add a few more pillows, any ideas??? 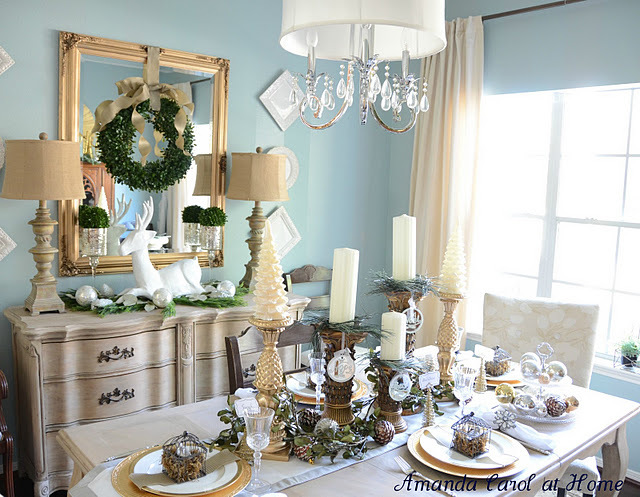 Did ya'll see Amanda Carol's Christmas Tablescape? GORGEOUS. Go check it out. It gave me great inspiration! 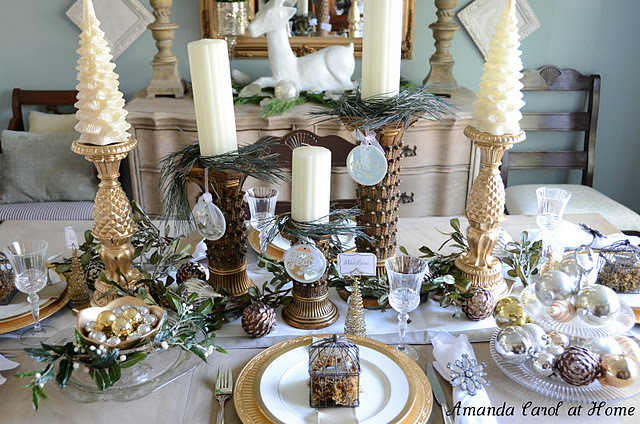 For more tablescape inspiration head over to Centsational Girl today, she is having a link up! Wow. That is stunning. I love the boxwood wreath. So pretty. That tablescape is stunning!! Wow! Ok, LOVE those pillows and I was eyeing up the Chiang Mia Dragon for my bedroom but it's a little too pricey for me. So if you want to send that to me for Christmas that would be great. ;) I kid, I kid! Love your pillow choices, maybe add something more yellow/gold for the next pillow to pull the yellow out of the chairs in the pic? I don't know, just a thought. Enjoy! awww you are sooo sweet!! Thank you! As for another print for the pillows-how about something in a Chevron print? pulling another color from the Chiang Mai. The pillows are great! Im excited about seeing the outcome! The table scape is absolutely beautiful! I love the color palette! Loving all of your changes!!! Pillows are great and that tablescape is stunning!